New Releases for September 18! This week the Heroes at the Criterion Collection have a blu-ray upgrade of one of our favorite classic comedies, MY MAN GODFREY (@ BLU). Then it’s back to the island for more chomping, stomping, and roaring with JURASSIC WORLD: FALLEN KINGDOM (@ BLU 3D). 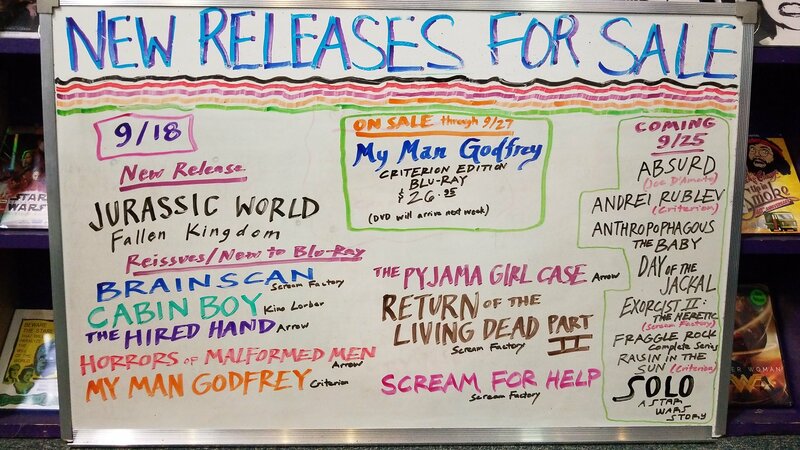 Check out the big board for everything that’s new for sale this week!